We posted some pictures from the trip & other eating stops over the next 2 years. 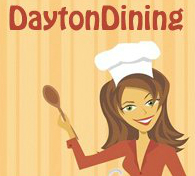 After generating some Facebook buzz, DaytonMostMetro.com asked us to be their featured food bloggers. Meet Jackie, Jessie and The Big Ragu. -We have an unmatched passion for food. -We are not food critics, we are 3 people that love to eat. -We share our favorite local and not so local foodstuffs - no rules, no whining. -All original photos, original food events, festivals, recipes, classes & so much more ! -We set the trends other blogs imitate. Together, your humble Food Adventurers will seek out locally owned restaurants, unique places off the beaten path, & even give our slant on some familiar favorites. You can expect pictures of each "Food Adventure" we embark on. You can expect us hugging waiters, posting nostalgia, emotionally eating our way through life. 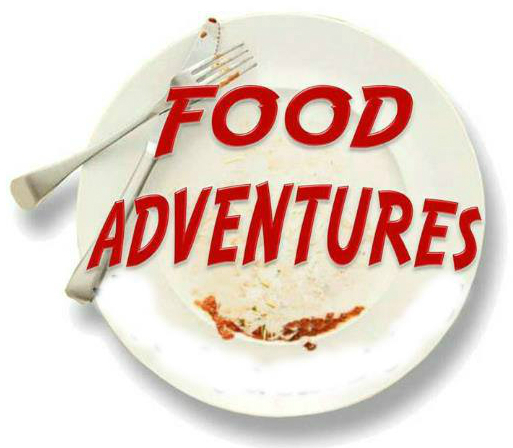 So get ready fans, you are about to go on an adventure…..
MEET THE FOOD ADVENTURE CREW !! We are much more than 1 person with a free Instagram or free Facebook account calling themselves "we." 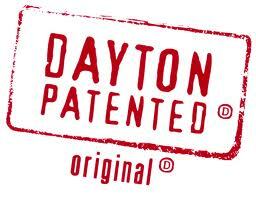 We are the original Dayton Foodies. We promise to deliver our unique take on places to eat in the Dayton area and beyond. Our goal is to be informative and entertaining. Whether casual food, formal dining, street food, or festivals, we will leave no plate unturned. Don't be shamed by the people who say they eat local, then go to Chipotle 3 times a week - we eat it all NO RULES.. It all started with a road trip to Chinatown in Chicago in April 2008. MEET JACKIE SCANLAN aka "HUNGRY JAX"
Jackie moved to the Dayton area in 2006. This Italian mom from Upstate New York, found herself in a very different culinary atmosphere that what she was used to in Utica, NY. However, different proved to be good and she fell in love with not only this "gem" of a city, but also the food and foodies within it. Cooking is a passion of Jackie's. She loves to use her husband John, and 2 daughters Coraline and Ashlyn as her lab rats to test recipes out. Some of her recipes have been published in National Food Magazines! She has also won food competitions including best "Chicken Riggies." As much as she loves to cook, she loves to take a night off from her kitchen and enjoy eating out and letting someone else do all the work (and the cleanup)! 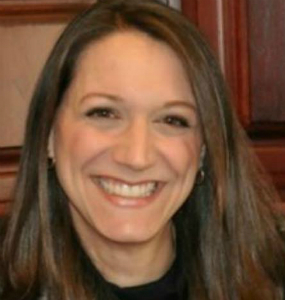 Other foodie interests include years of volunteering at the Dorothy Lane Market School of Cooking, and recently has hosted her own Food Adventure classes with the crew at the culinary center to full houses. She has been re-tweeted by Food Network's Alton Brown, whom she has been a fan of his since way back when he wore bowling shirts. Jackie is excited to be a part of the Food Adventure team and this "always hungry girl" is looking forward to experiencing some new eats. Jackie takes the lead at the Food Adventure cooking classes at Spicy Olive. She hosts cooking demos at Dayton's Garlic Fest and has appeared for Food Adventures on Living Dayton TV. MEET JESSIE WHITESELL our "WHOLE 30 GURU"
We have our own resident Paleo and Whole 30 guru who brings a fresh breath of healthy eating into the mix. Meet the latest crew member, Jessie Whitesell. A Mom whose busy lifestyle and own health concerns, turned her on to the power of fresh, natural foods. Using gluten free foods, and a paleo style diet, she has conquered her own health concerns from allergies to inflammation. Jessie brings fun videos, cooking tips, and much more to Food Adventures. She will help you and your family who may be looking to promote a healthier lifestyle. Jessie is a lifelong Dayton resident with a passion for healthy, nutritious, fresh local foods. 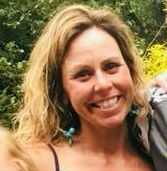 She is the owner of Jessie Whitesell Health + Wellness is our team’s Wellness Consultant. She brings a piece to Food Adventures that focuses on holistic health and healing through whole, natural foods. Jessie is a certified health coach, autoimmune paleo coach, fitness nutritionist, behavioral coach, and personal trainer. She holds an BA in Education and a M. Ed. in Counseling Psychology. She and her high school sweetheart are raising three incredibly active and hungry kids. Self taught in the kitchen, she has learned how to simplify feeding a busy active family a mostly paleo nutritional plan through mindful planning, meal prep, and single ingredient foods. Jessie likes to cook with "in season" produce and support local farmers when possible. You can often find her at the ball fields either coaching or cheering on her kids with a cooler packed to the brim with healthy, whole foods. MEET STEVE MILANO aka "THE BIG RAGU"
A lifelong resident of Dayton, his early food influence started in the kitchen by his mom. Both of his grandmother's taught him Italian cooking and German/Scottish cooking respectively. He also learned a lot about grilling from his dad and his grandfathers at family functions and get togethers. He inherited his family's love of food and restaurants. Ragu's love of food is only matched by his love of sports, travel, karaoke, and the need to just be held. His favorite foods are Seafood, Italian, Chinese and Japanese. He is a sucker for the nostalgic restaurants of Dayton. Other hobbies include, occasionally overeating & a slight attraction to fried foods. With the Food Adventures Crew, he has written over 500 weekly feature articles for DaytonMostMetro.com. 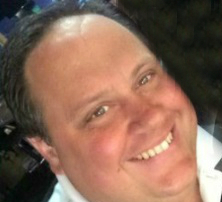 He has appeared on Living DaytonTV as part of Food Adventures and has helped put together Dayton's Garlic Fest and Rock N Green Tomato Festivals respectively. From judging green tomato pies, to guest bartending, or charity appearances alongside Jax and Jessie, he loves it all. He has helped host cooking classes and will continue to push the envelope with Food Adventure events. He brings incredible food photos to our social media, in the interest of bringing you unparalled information, humor and fun.